The Fredrickson’s called us because they had this family heirloom, built by their father 50 years ago, and they wanted to save it from demolition. 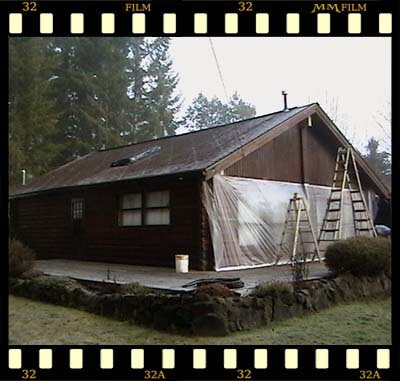 Most of the house had been covered in plastic and 4×8 sheets of plywood covering rotted areas when we arrive. 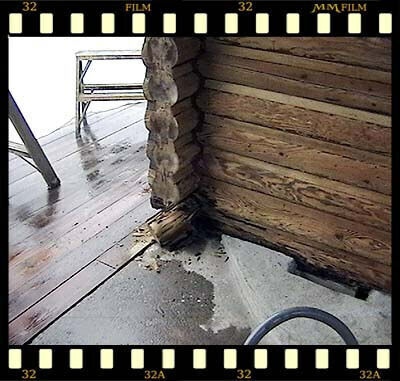 The Fredrickson’s had a nice little log home that had some big problems! 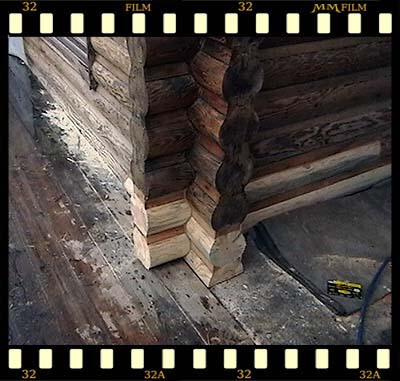 We were determined to save this cabin that had been slated for demolition due to the walls were leaning out and the roof was caving in. Not to mention, this home had serious problems with brown rot in every corner of the house! 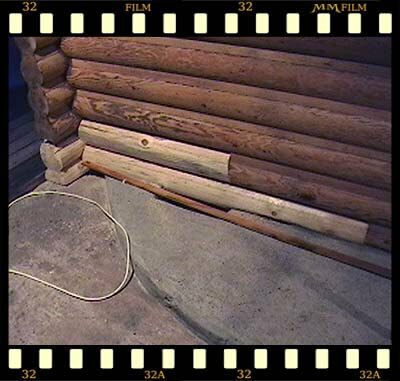 Here, the logs have been replaced in the bottom corner. 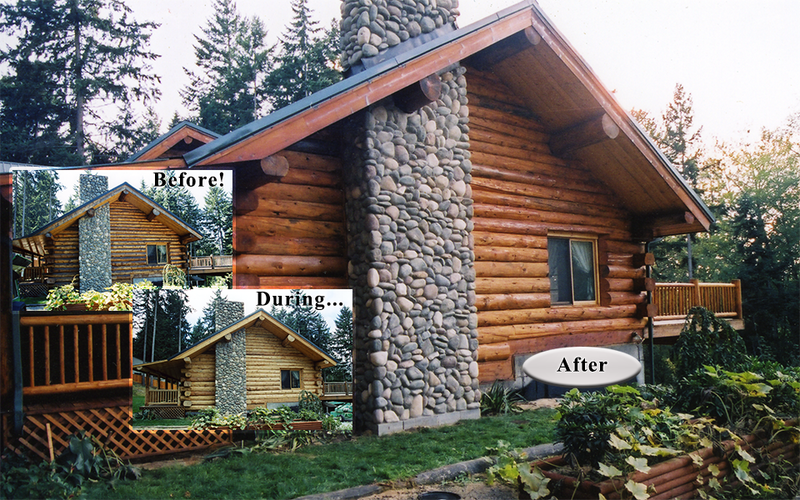 Every corner of this home had to be removed and new logs installed. 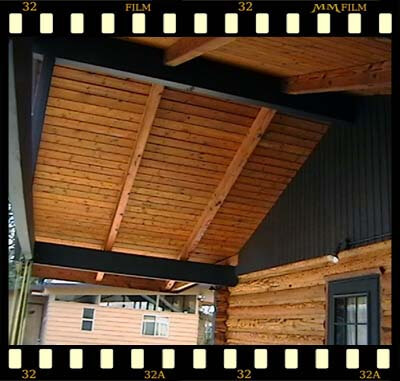 We had to install a new ridge beam across the interior of this home, it was build without a ridge beam and only had brackets holding the rafter beams together! 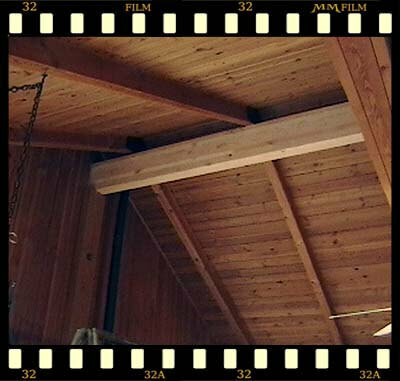 We installed screw-jacks under the supports so we could incrementally raise the roof and pull the log walls back to plumb! 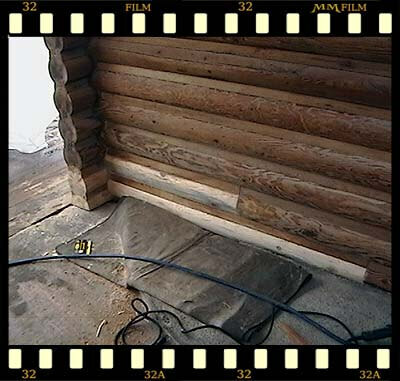 It was a success, and now the cabin looks like it is brand new (only 50 years old) and the walls are straight. 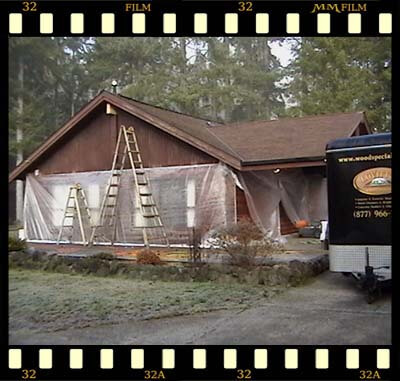 we painted all the trim, beams, and gable ends with 2 coats of high quality paint from Ben Moore. 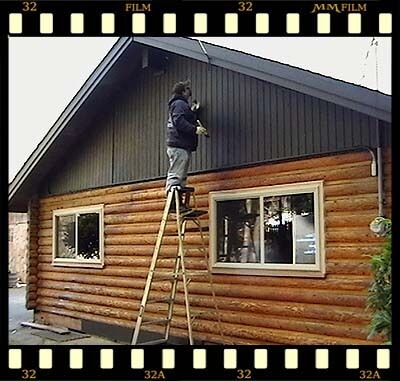 Please call us if you have an old cabin with serious problems, it is our specialty!